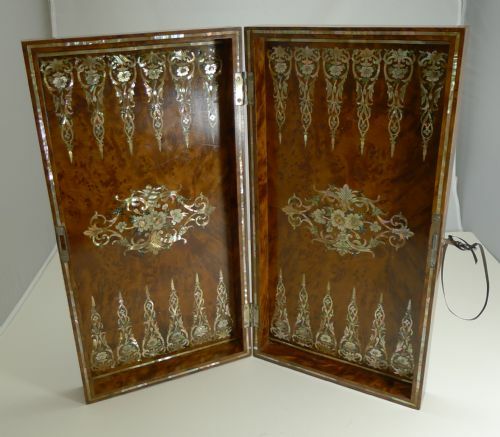 A fabulous and scarce Backgammon board made from highly prized Amboyna wood, the most precious and expensive timber in the world, sought for it's tight curly grain and rich cognac colour. 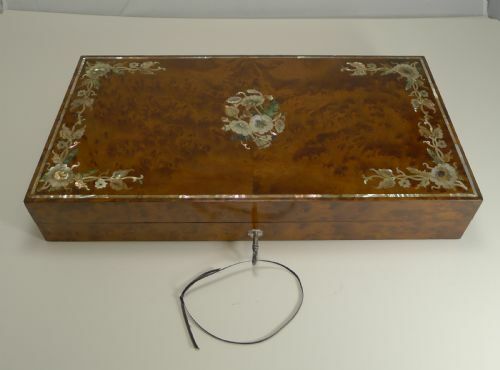 Of course it is the intricate and highly decorative Mother of Pearl and Abalone shell inlay that creates this very special and highly collectable box. 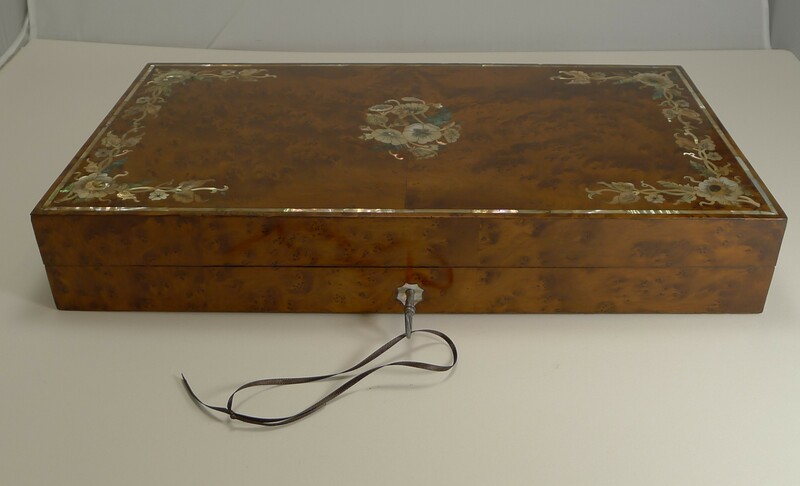 The hinged box comes complete with a working key and Mother of Pearl playing chips and two dice. Dating to c.1890, it remains in excellent condition and measures 17 1/2" x 9" x 2 7/8" while closed. 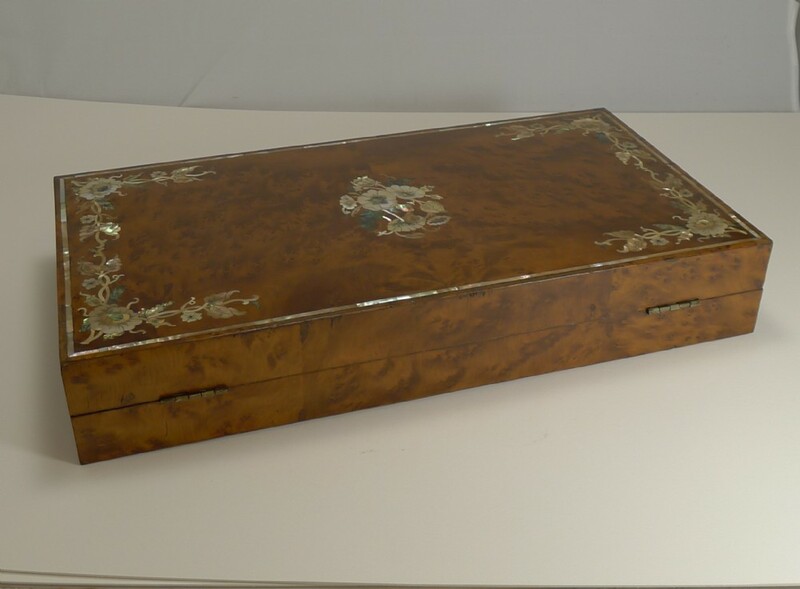 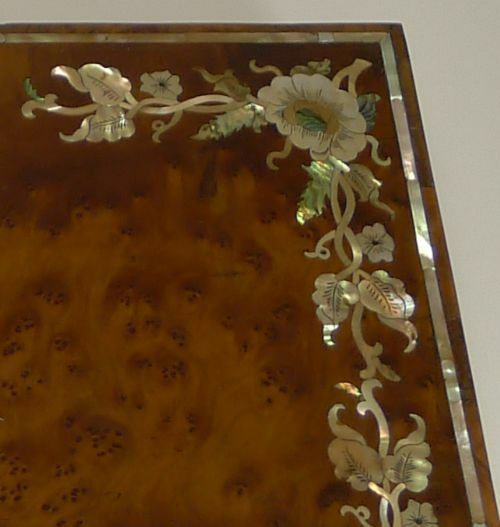 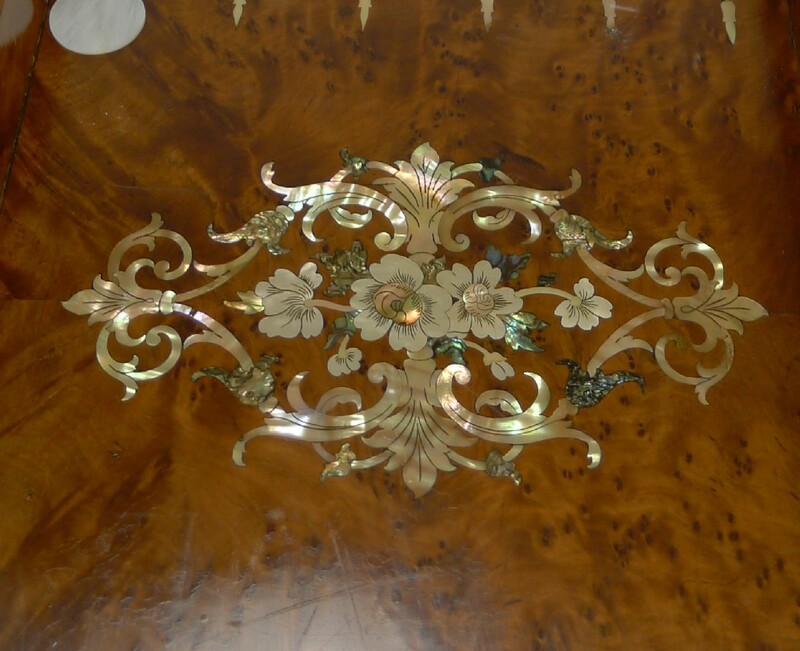 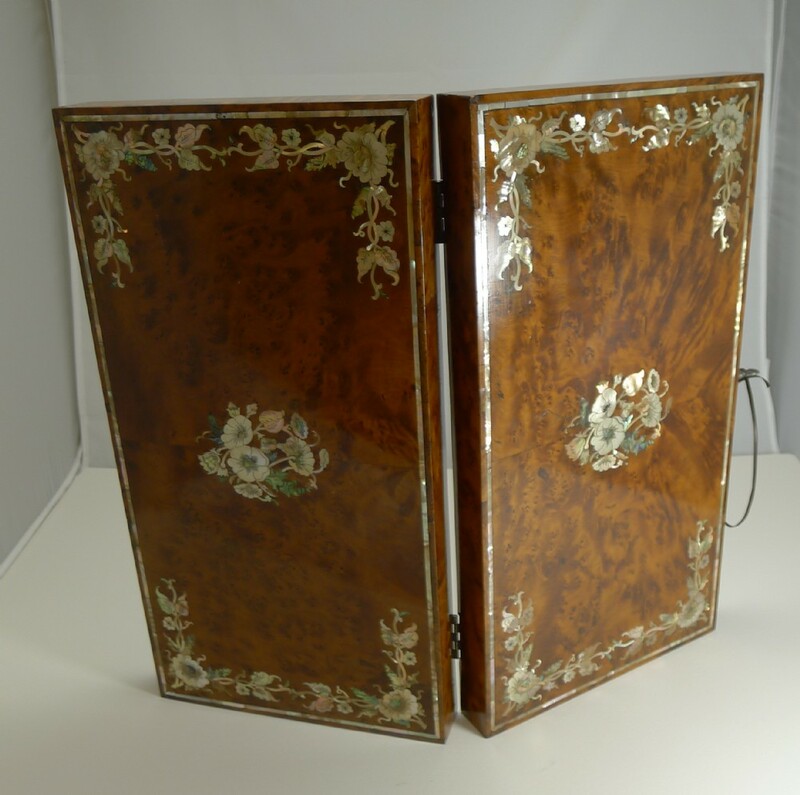 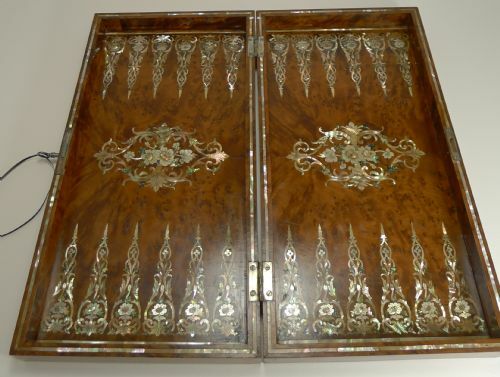 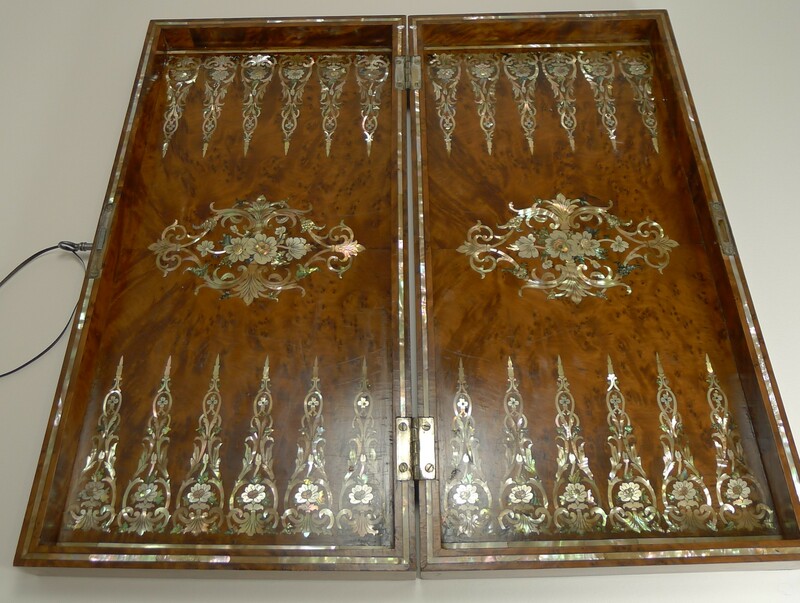 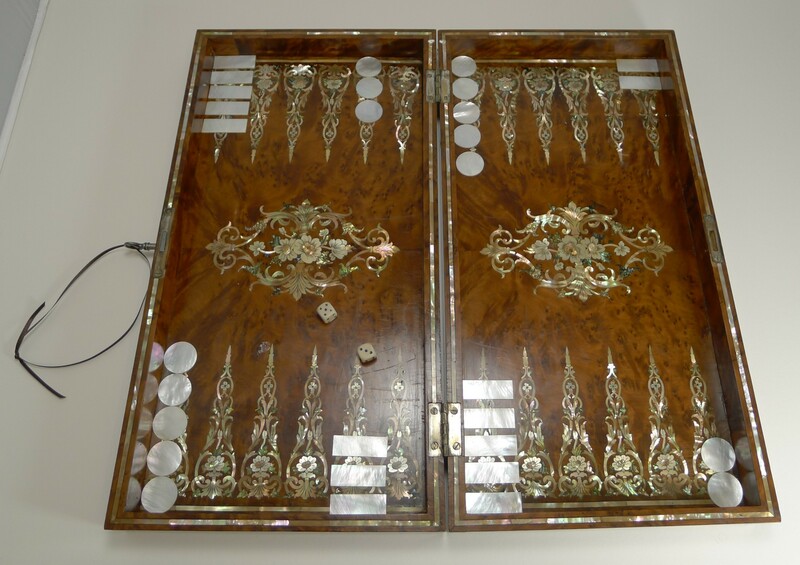 The Exquisite English Mother of Pearl Inlaid Amboyna Backgammon Board c.1890 has been added to your saved items.